Jason Januzelli is ZCorum’s software development team lead. With over twenty years of software engineering experience across a broad range of domains, he enjoys the new challenges presented every day in his role. When away from work, Jason enjoys spending time with his wife and three children. Once upon a time a competitive athlete, Jason now simply tries to stay active and somewhat fit with early morning classes at the local Y and running his kids around on their various adventures. Go Jackets! 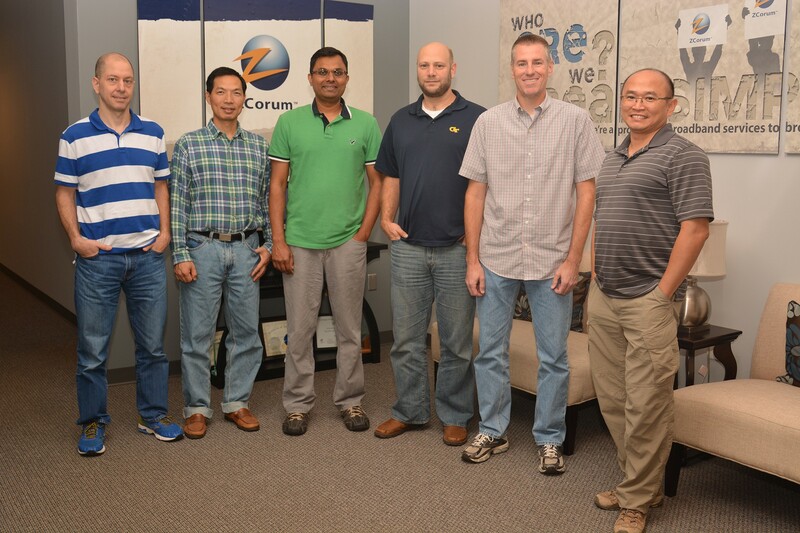 Yan Huang has been with ZCorum since 1999, joining the company right before Y2K became a reality. He was here at midnight along with other employees just to make sure nothing went haywire with our systems. It was a non-event (other than a little office party after). Yan helps keep our back-end business and billing systems running, and is involved in the implementation of new service providers and the conversion of their subscribers over to our systems. He’s a family man, and proud dad to two daughters. Binoy Varghese has more than 17 years of software development experience, in broadband and point of sale domains. He came to Zcorum June, 2013 and joined a likeminded team of folks who love their work. When he has down time he enjoys spending time with his family and friends. Allen Lamb graduated from Georgia Tech with a degree in Computer Science in 1999 and has been a software developer ever since. Battling the commute to do what he loves, Allen lives in Kennesaw, Georgia with his wife and two children along with two cats and a dog. When not at work, he designs board games, watches Georgia Tech football and dabbles with the guitar. Marty Couvillon has 25 plus years of software development experience. Joining ZCorum in 2008 he then jumped right on the TruVizion team with its very first release. He enjoys spending time with his family and is an avid fan of college football. Tony Yu is not “just a graphics guy.” As a UI (user interface) expert, he has the ability to turn abstract concepts to visual presentations. He designs the ‘look and feel’, workflow and code for applications on web browsers and mobile devices. Tony holds a B.S. degree in Physics and a M.F.A. degree in Computer Art. A recent study found messy desks usually indicate more creative minds, as evident at his desk. Tony is also a self-taught classical pianist and a long-time student in singing.